You are currently browsing the daily archive for July 29, 2011. 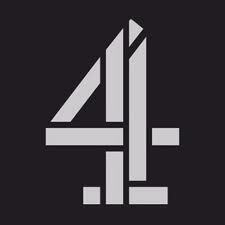 Watching the Channel 4 film that is now doing the rounds, I was struck by its essential predictability. It relied very heavily on three individuals whom it suggested were independent witnesses, though in all three cases their reliability is in grave doubt. I had in fact drawn attention previously to the potential dangers posed by these individuals. The failure to have taken action in this respect is I believe another indictment on the lack of professionalism within our government departments, a lack of professionalism which I fear will continue in the absence of intelligent, high-powered groups to monitor and anticipate and deal with problems. I have been suggesting such bodies for months now, only to be told endlessly about the difficulties of setting them up. We thus tend to react to attacks on us, often without consistency, which often contributes to further attacks. An example of what we failed to do is provided by Benjamin Dix, who was trotted out after two years to be one of the three star witnesses in the case against the Sri Lankan state. There had previously been a dress rehearsal for this, when he had popped up in Geneva to attack us, way back in 2008. We got the UN to put a stop to this, but we failed to get from them, despite my suggesting this at the time, something in writing that specifically repudiated Dix and what he was doing.